Timeline: Pre-production (May/June), Production (June 15-July 15), Post-Production (July 15-August); estimated workload of 5 hours per week with significantly increased hours during the Fringe Festival (June 15 – July 15). This project will be directed by Brandon McFarlane (Prof. Creativity and Creative Thinking) in collaboration with Toronto Fringe Tanisha Taitt (TENT Program Director) and Lucy Eveleigh (Executive Director). 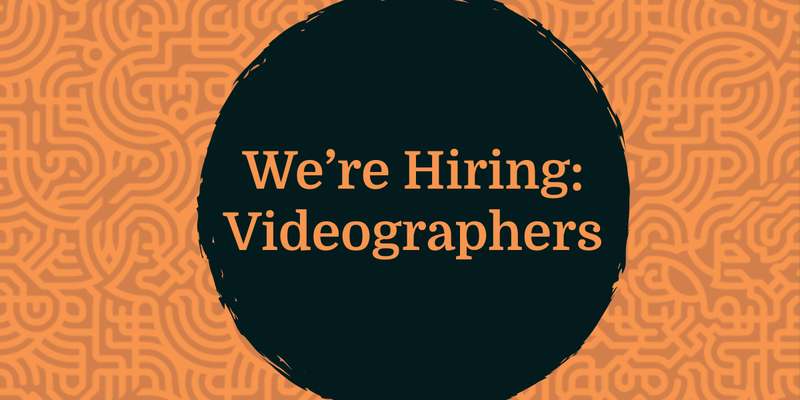 We’re looking for creatives who can contribute to production, direction of photography, audio recording, and editing. Team members will have accesses to a DSLR, multiple lenses, a shotgun mic, a lav mic, and a digital audio recorder. Collaborate with Brandon McFarlane and Toronto Fringe to produce short videos that communicate the impact of the research project and TENT to the public through creative and accessible videos. Please submit a cover letter outlining your qualifications and motivations for contributing with your resume and/or a link to your portfolio to brandon.mcfarlane@sheridancollege.ca; please include the contact information of a Sheridan professor who can provide a strong reference; use “Videographer, surname” as the email subject line.